Frank, Joe, and their best friend Chet are attending Bayport Zoo’s annual Halloween carnival. 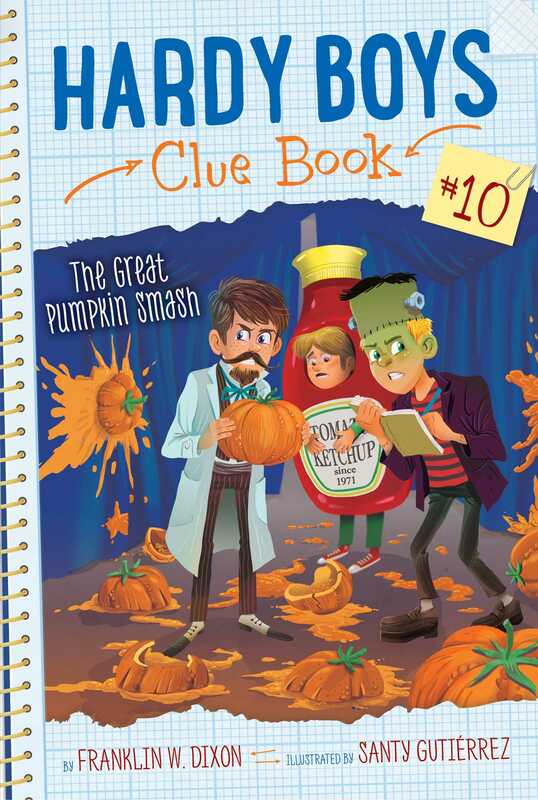 Frank and Joe have a routine planned for Scaryoke, and Chet has entered the pumpkin pie-eating contest—he even brought his own whipped cream! After their performance, Frank and Joe go to check out the painted pumpkins on display. But when the brothers enter the tent, they see their Scaryoke song wasn’t the only smash hit at the carnival. The floor is littered with bits of pulverized pumpkins! What’s worse, the organizer says that unless the culprits are caught by the end of the day, this will be the last Boo at the Zoo…forever!